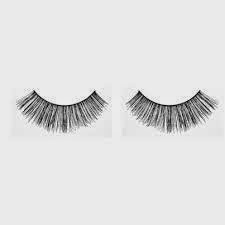 Having long full eyelashes is something that almost every woman desires. They are visually appealing and enhance your appearance. To achieve this look many women apply fake lashes or a ton of mascara to give the illusion of long, thick lashes. But what if I told you that you can have long, beautiful lashes that are healthy? It certainly can be done, I know because I use some of the methods I am about to talk about in a minute. Lately I have been jumping on the long lash band wagon after my frustration of not being able to apply false lashes. I have tried and tried but I cannot seem to get it right. It either slips off or is not centered and I end up looking ridiculous. Two years ago I remember going to a salon for help. But the stylist told me that they don’t apply whole lashes only separate lashes. Although I was slightly annoyed I decided to let her do it and the end result was lovely. I was going on a cruise the next day so I wanted to look my best. By the time I got home half of the lashes fell out. And of course by the time I boarded the ship most of them was gone so it was a total waste of money. A couple of weeks ago I decided to embark on my own eyelash growing journey by buying eye lash growth serum. I have been using it for two weeks now and I must say that I see a difference already. It’s called select lash and it was very inexpensive but it got good reviews so I tried it. Upon further research I realized that some women were using simple home remedies that yielded great success in their eyelash growth. Why didn't I do this first? I understand that lashes need to be moisturized daily so that they wouldn't fall out as much. Many use castor oil, olive oil, coconut oil and even Vaseline and were happy with their results. So basically your eyelashes need moisture in order to grow and castor oil is used for hair growth all the time so it makes sense. Now I know what to do when my serum is finished. A lot of money is spent on eyelash serums that can have bad effects on your eye such as irritation, eye coloring and stinging. No thank you I say! Eyelashes are a beautiful feature to have and they can be achieved very easily with simple products you can find at home or your local drug store without spending a mint. If I can see results in a few weeks, it is definitely something worth giving a shot.